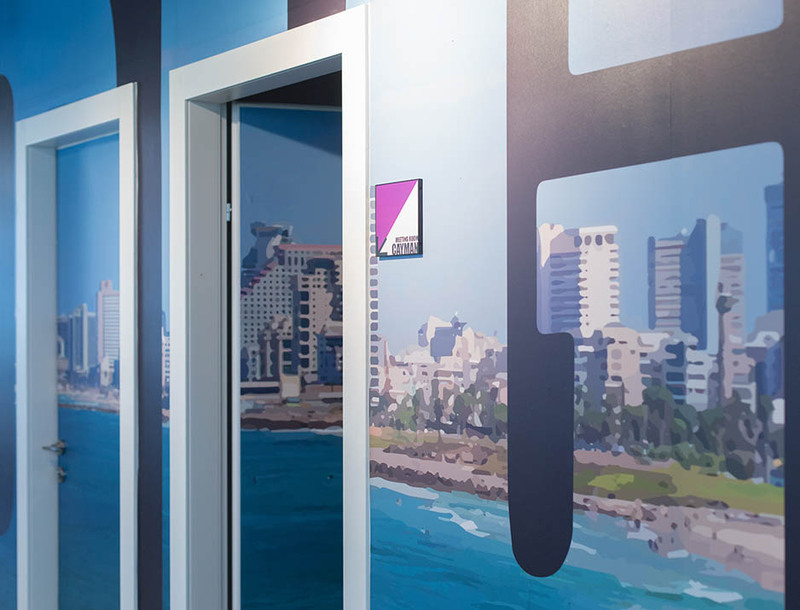 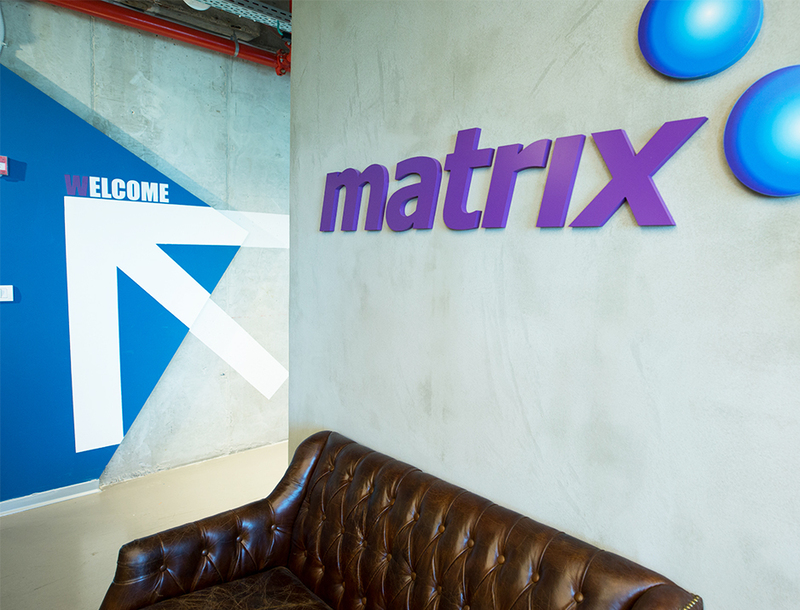 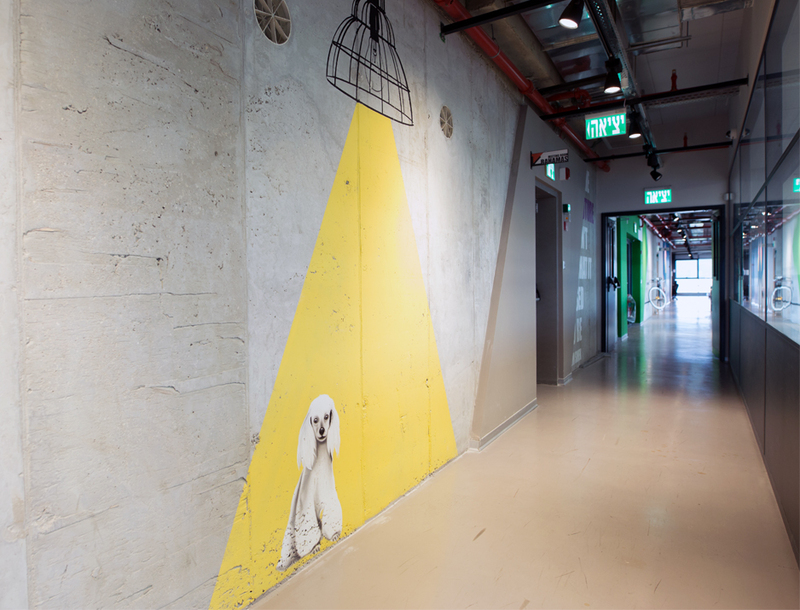 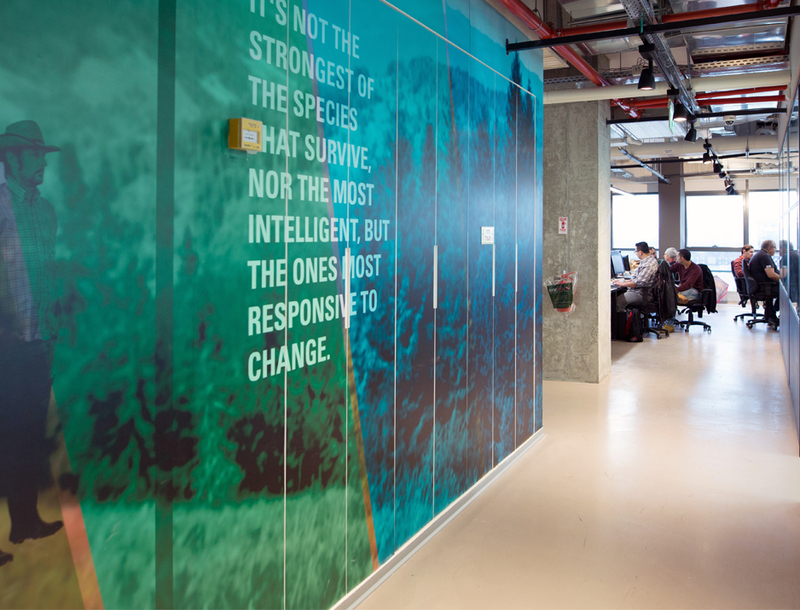 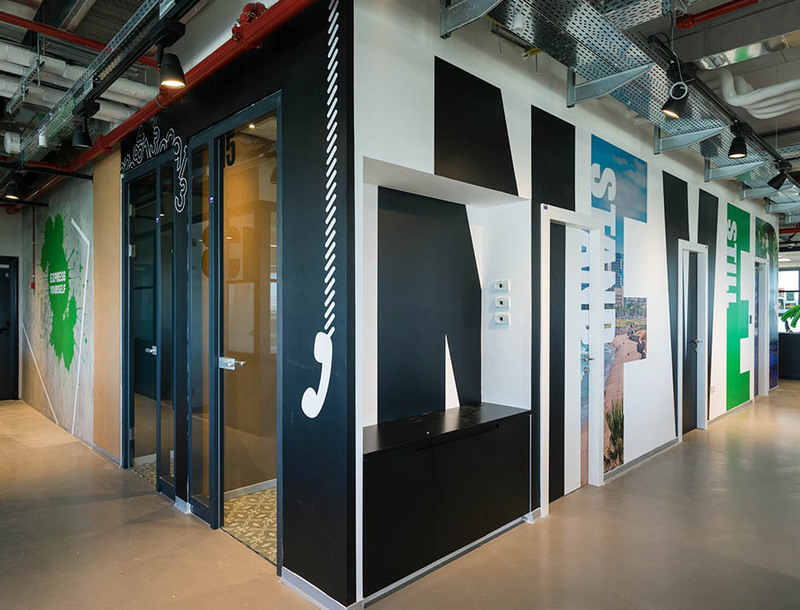 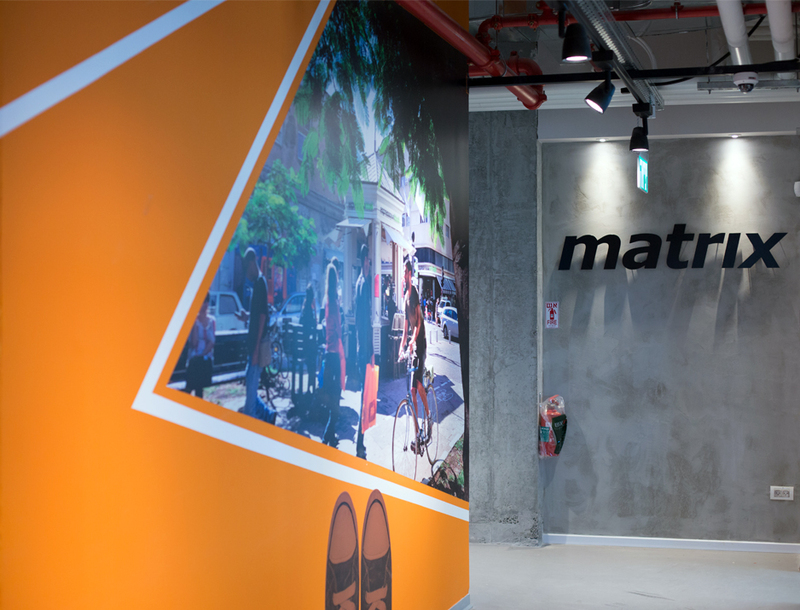 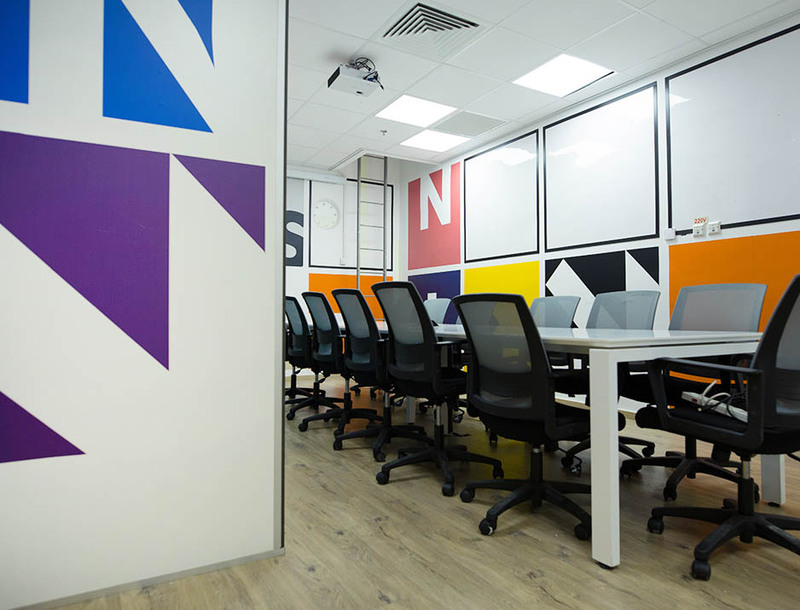 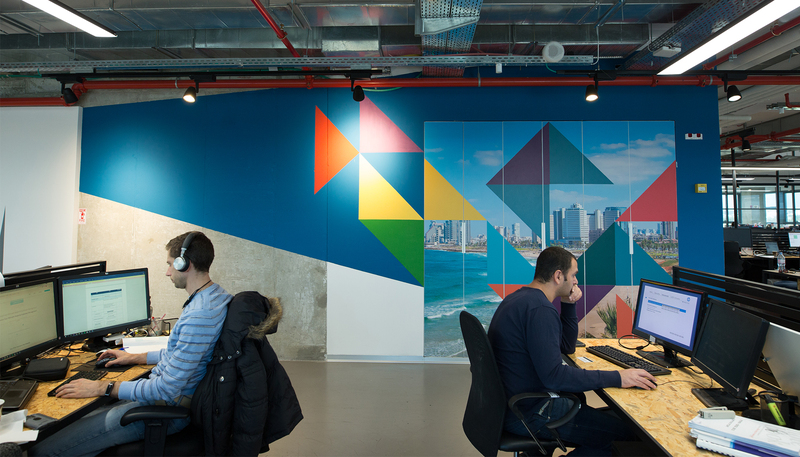 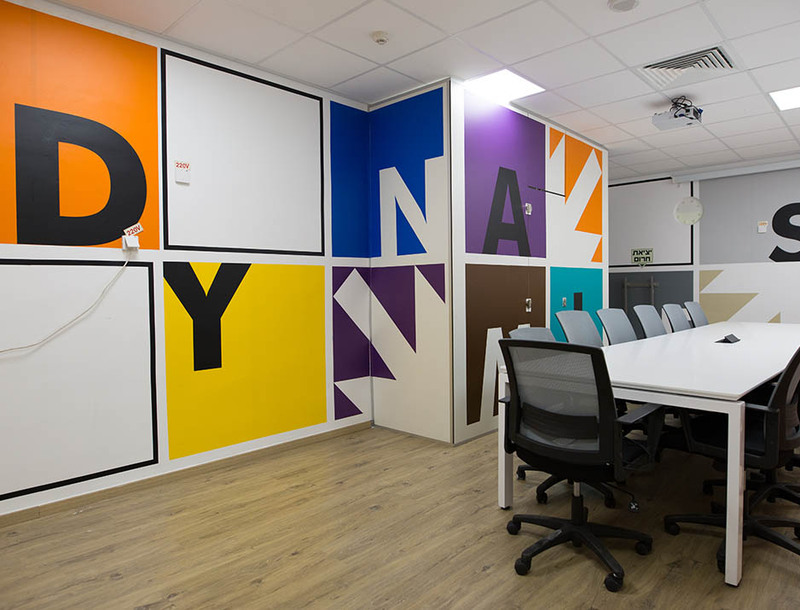 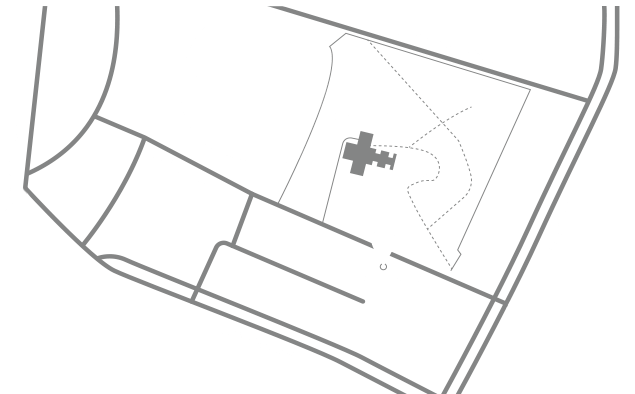 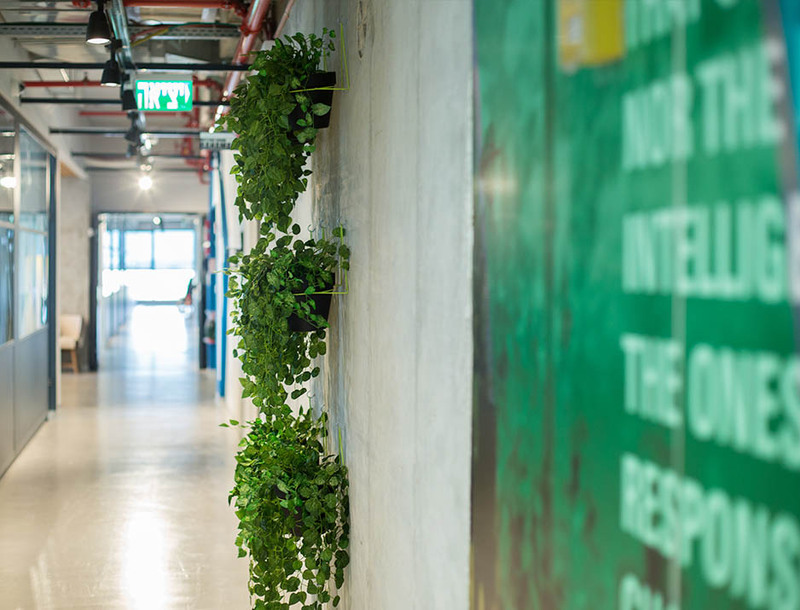 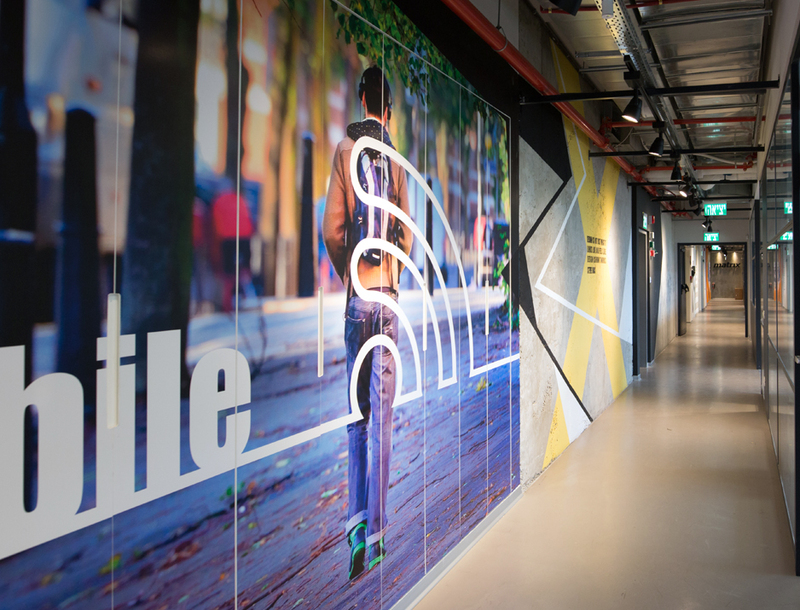 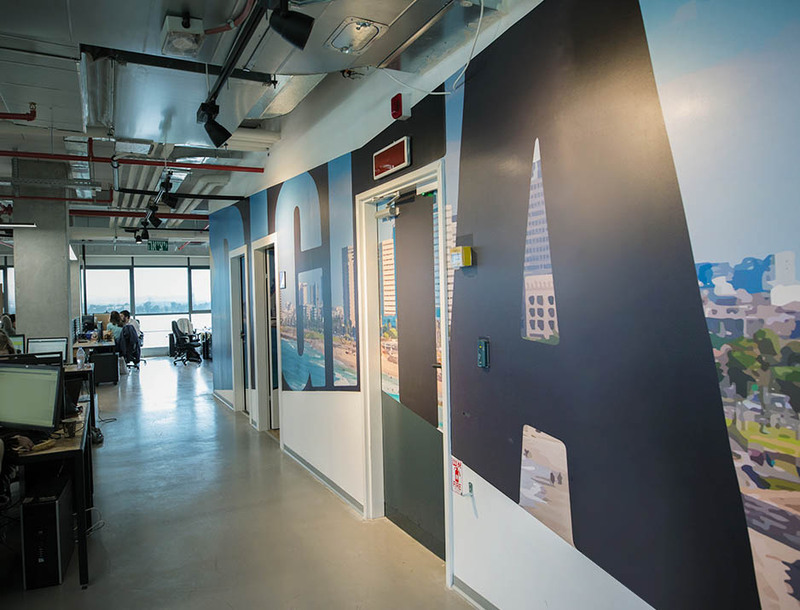 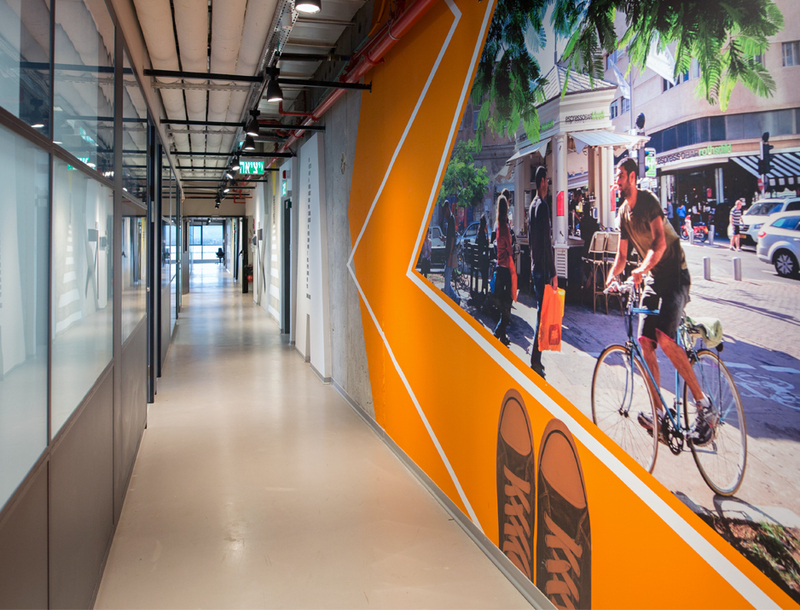 Matrix is a company engaged in the field of information technology, the new offices in Hod Hasharon spread out over two entire floors. 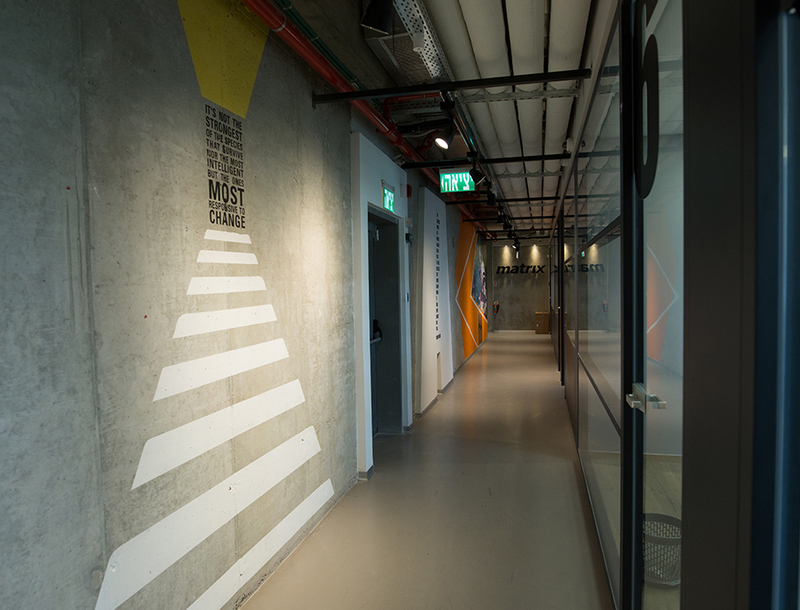 we enriched the floors with colorful graphics and typography in a wide variety of techniques. 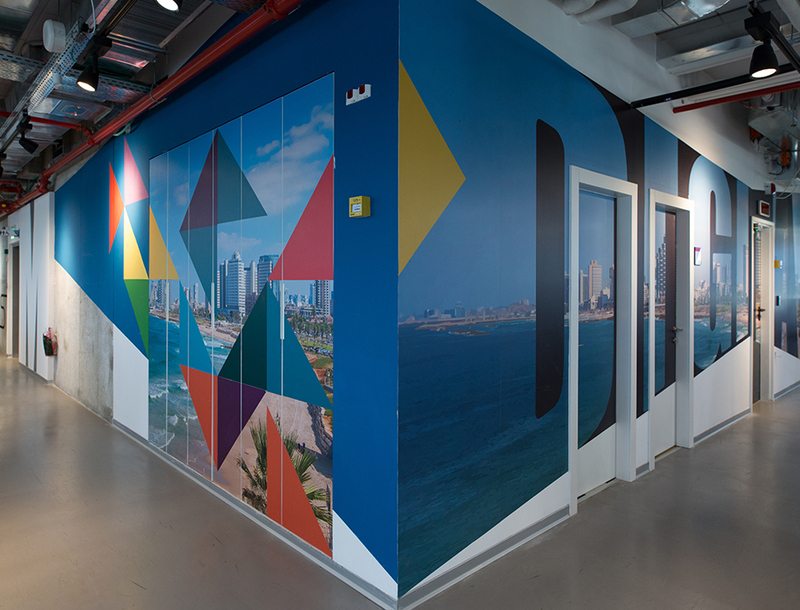 In this project, we worked closely with the architects firm and contractor from the planing stage. 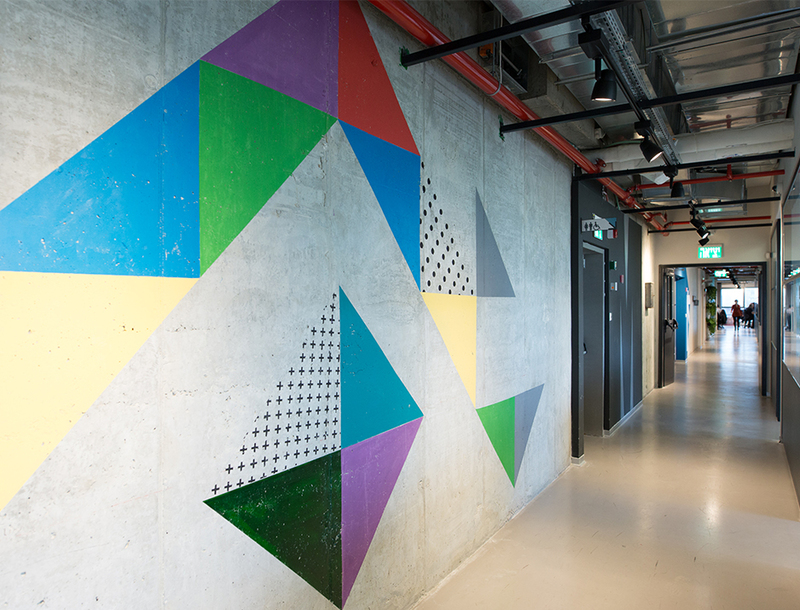 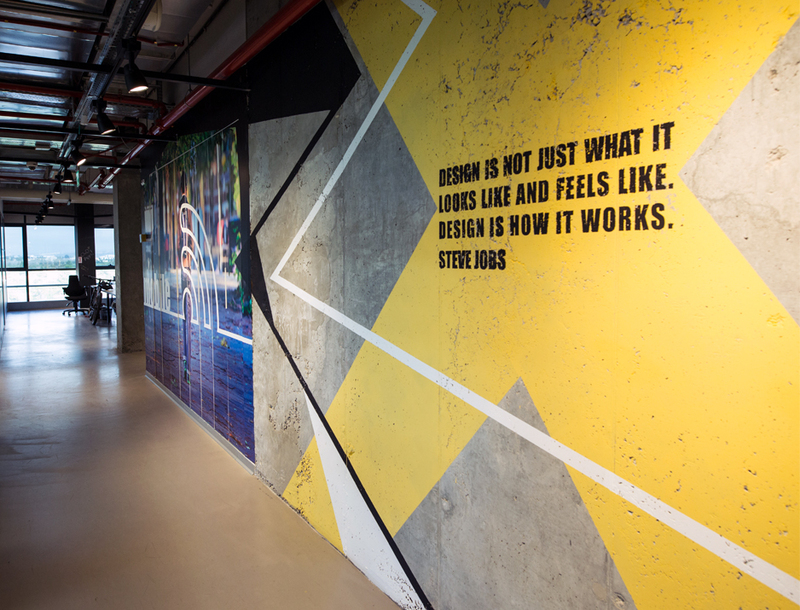 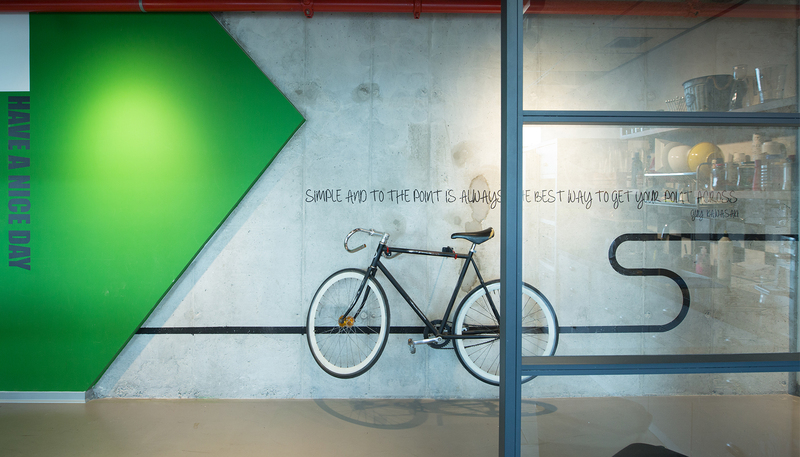 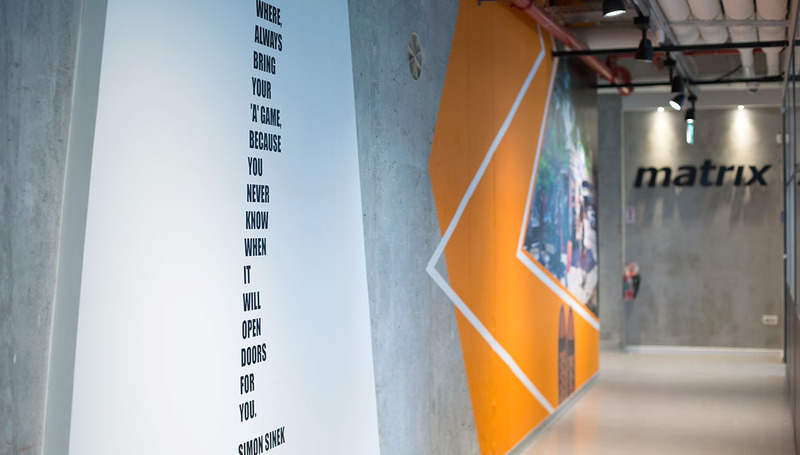 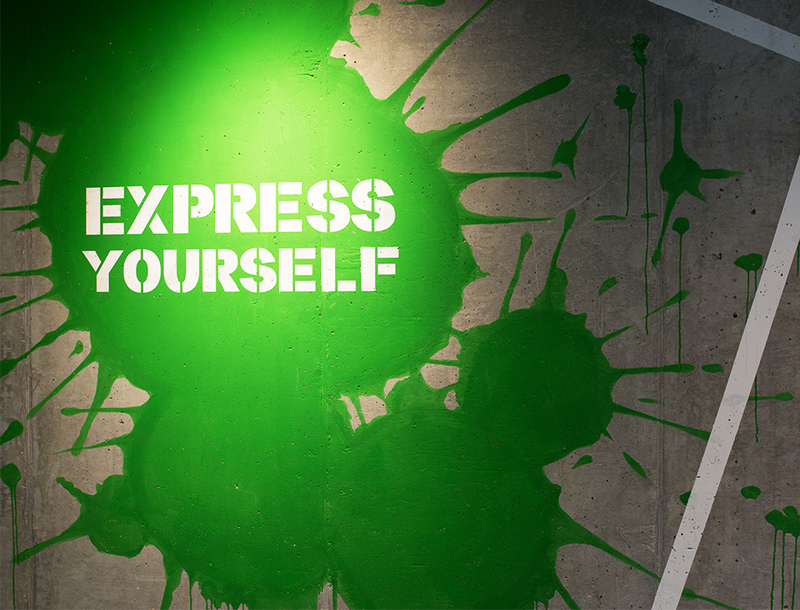 the offices was designed with an industrial-look with metal and exposed concrete to that we added urban images and a lot of color splashes, stencil paintings, printed wallpapers, vinyl stickers, bicycle on a rack and plants wall, from all of these Matrix employees get to enjoy every day in their new Offices space.